Childhood Obesity is an epidemic. According to the Centers for Disease Control and Prevention, Childhood Obesity has more than tripled in the past 30 years. The percentage of children aged 6–11 years in the United States who were obese increased from 7% in 1980 to nearly 20% in 2008. Similarly, the percentage of adolescents aged 12–19 years who were obese increased from 5% to 18% over the same period. In 2008, more than one third of children and adolescents were overweight or obese. Even worse, many overweight and obese children become obese adults. According to the CDC, obese youth are more likely to have risk factors for cardiovascular disease, such as high cholesterol or high blood pressure. In a sample of 5 to 17 year-olds, 70% of obese youth had at least one risk factor for cardiovascular disease. Obese adolescents are more likely to have pre-diabetes, a condition in which blood glucose levels indicate a high risk for development of diabetes. Children and adolescents who are obese are at greater risk for bone and joint problems, sleep apnea, and social and psychological problems such as stigmatization and poor self-esteem. Long-term health effects show that children and adolescents who become obese are more likely to be obese as adults. 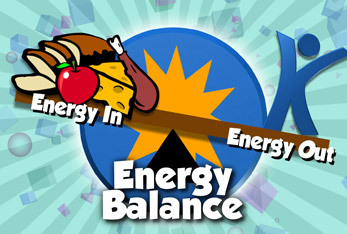 Obesity and being overweight are the result of being out of balance, Energy Balance. Energy is just another word for calories. What we eat and drink is Energy In. What you burn through physical activity and growing is Energy Out. To maintain a healthy weight, we need to balance the amount of energy we take in, in the form of food, with energy we use up by being active and growing. If we eat more than we use, over time we gain weight and get out of balance. How can you get back in balance? Eat healthy meals and snacks and be active for 60 minutes every day. Watch your portion sizes. Eat less fast and fatty foods. Do not drink soda. Eat more fruits and vegetables. Eat more whole grain foods and less processed foods. Spend less time in front of the TV and computer. Drink more water, at least six glasses a day. Keep a food journal. Eat as a family at the dinner table.